A new exhibition has opened at the New York State Museum showcasing the works of Adirondack photographer and conservationist Seneca Ray Stoddard. Seneca Ray Stoddard: Capturing the Adirondacks is open through February 24, 2013 in Crossroads Gallery and includes over 100 of Stoddard’s photographs, an Adirondack guideboat, freight boat, camera, copies of Stoddard’s books and several of his paintings. There also are several Stoddard photos of the Statue of Liberty and Liberty Island. These and other items come from the State Museum’s collection of more than 500 Stoddard prints and also from the collections of the New York State Library and the Chapman Historical Museum in Glens Falls. Born in Wilton, Saratoga County in 1844, Stoddard was no doubt inspired by the Adirondacks at an early age. A self-taught painter, he was first employed as an ornamental painter at a railroad car manufacturer in Green Island, across the Hudson River from Troy in Albany County. He moved to Glens Falls (Warren County) in 1864, where he worked with sketches and paintings until his death there in 1917. Early on he sought to preserve the beauty of the Adirondacks through his paintings but then became attracted to photography’s unique ability to capture the environment. 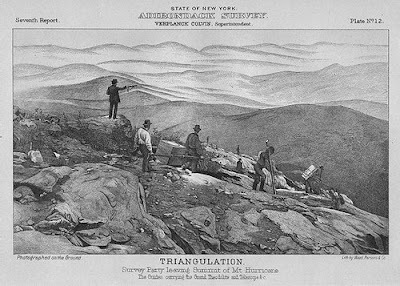 He was one of the first to capture the Adirondacks through photographs. He used the then recently introduced wet-plate process of photography. Though extremely cumbersome by today’s standards, the technique was the first practical way to record distant scenes. It required Stoddard to bring his entire darkroom with him into the Adirondack wilderness. His renown as a photographer quickly grew once he settled in Glens Falls, which also became his base camp for his explorations of the Adirondacks. He studied the Adirondacks intensely over a 50-year period. His work stimulated even further interest as he promoted the Adirondacks through his photographs and writings on the beauty, people and hotels of the region. Stoddard’s photographs showed the constancy of the natural beauty of the Adirondacks along with the changes that resulted from logging and mining, to hotels and railroads. As unregulated mining and logging devastated much of the pristine Adirondack scenery, Stoddard documented the loss and used those images to foster a new ethic of responsibility for the landscape. His work was instrumental in shaping public opinion about tourism, leading in part to the 1892 “Forever Wild” clause in the New York State Constitution. The State Museum purchased over 500 historic Stoddard prints in 1972 in the process of acquiring historic resources for the Museum’s Adirondack Hall. They included albumen prints from Stoddard’s own working files, many with penciled notes. 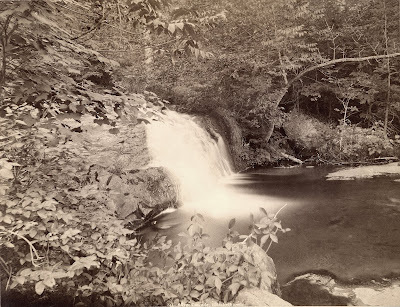 Nearly all are of the landscapes, buildings and people of the Adirondacks taken primarily in the 1870s and 1880s. An online version of the exhibition is also available on the State Museum website at http://www.nysm.nysed.gov/virtual/exhibits/SRS/ . The State Museum will present several programs in conjunction with the Stoddard exhibition. There will be guided tours of the exhibition on September 8 and December 8 from 1-2 p.m. Stoddard will also be the focus of Family Fun Day on September 15 from1-4 p.m. Established in 1836, the New York State Museum is a program of the State Education Department’s Office of Cultural Education. Located on Madison Avenue in Albany, the Museum is open Monday through Saturday from 9:30 a.m. to 5 p.m. except on Thanksgiving, Christmas and New Year’s Day. Admission is free. Further information can be obtained by calling (518) 474-5877 or visiting the Museum website at www.nysm.nysed.gov. Photo: Stoddard’s &#8220Indian Encampment, Lake George, 1872&#8243-.